Through a new grant, WWU students will save $270,000 in textbook costs. The award of $36,000 from Washington State will support a faculty development program aimed at adopting Open Educational Resources (OERs). 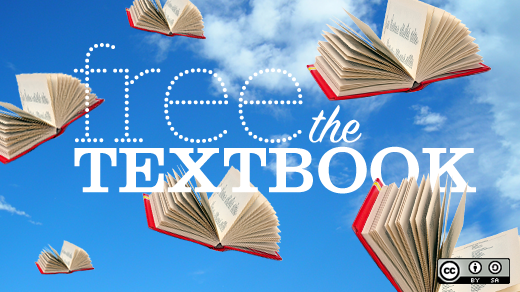 OERs are free and openly licensed educational materials. The award, entitled “Increasing College Affordability with OER Adoption at WWU,” will support five courses--taught by individuals or teams--which will in turn save about 2,000 students over $270,000 in the first year alone. With a spread of effect, the savings over time could be exponential. The grant, awarded to only two institutions of higher education in Washington State, is the result of State Bill 1561, designed to administer the Open Educational Resources (OER) Grant Pilot Program for the public baccalaureates. ATUS and CIIA, in collaboration with Western Libraries, have been supporting an alternative textbook pilot program for the past three years with funding by the Student Technology Fee. This previous work has already saved Western students $1.2 million, laying the groundwork for a successful grant. While John Farquhar, director of ATUS, and Justina Brown, ATUS and CIIA instructional designer, had been anticipating the announcement of the grant, they expected the one-month turnaround time for the proposal to be a challenge. The proposal required that the target courses be identified. However, in just those few weeks, several dozen faculty members expressed interest in doing this work, allowing the team to confirm five courses and the instructors who teach them to be supported by the grant, including: Computer Science 145, Engineering 302, Management 311, Music 105, and Political Science 261. This is testament to the campus culture at Western that values the student experience. This project aligns with the “Advancing Inclusive Success” core theme of Western Washington University’s Strategic Plan, which states that our most important challenge is to “increase retention and persistence rates and the number of graduates, while eliminating achievement gaps for students from diverse and underrepresented socioeconomic backgrounds.” Carrying out this OER project helps Western work toward closing such gaps.